Microprocessor Interfacing provides the coverage of the Business and Technician Education Council level NIII unit in Microprocessor Interfacing (syllabus U86/335). 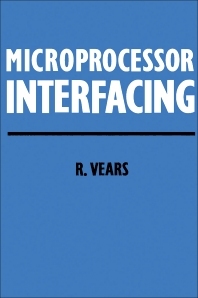 Composed of seven chapters, the book explains the foundation in microprocessor interfacing techniques in hardware and software that can be used for problem identification and solving. The book focuses on the 6502, Z80, and 6800/02 microprocessor families. The technique starts with signal conditioning, filtering, and cleaning before the signal can be processed. The signal conversion, from analog to digital or vice versa, is explained to answer why conversion is necessary for the microcomputer or processor. The types of analogue to digital converter, voltage measurements, scaling, and interfacing with ADC to a microcomputer are all taken into account. After the signal has been converted into readable data, the date transfer techniques are described. For data between systems and subsystems to be efficient, the timing, electrical, I/O lines, serial data, and bus structure should be considered. A more detailed explanation of parallel I/O controllers as applied to Z80 PIO and the 6821 PIA follows. For serial I/O controllers, the serial data transfers, speed in baud rate, software routines, and ASCII codes are all examined. Finally, the dedicated I/O controllers involving keyboard encoding, the ASCII (QWERTY) keyboard interface, the visual display unit, cathode ray tube controller devices, and the drive controllers are discussed, as each of these requires one specific application. This book is useful for computer engineers, software engineers, computer technicians, teachers, and instructors in the field of computing learning. This text can also be an informative reading for those have great interest in computer hardware.